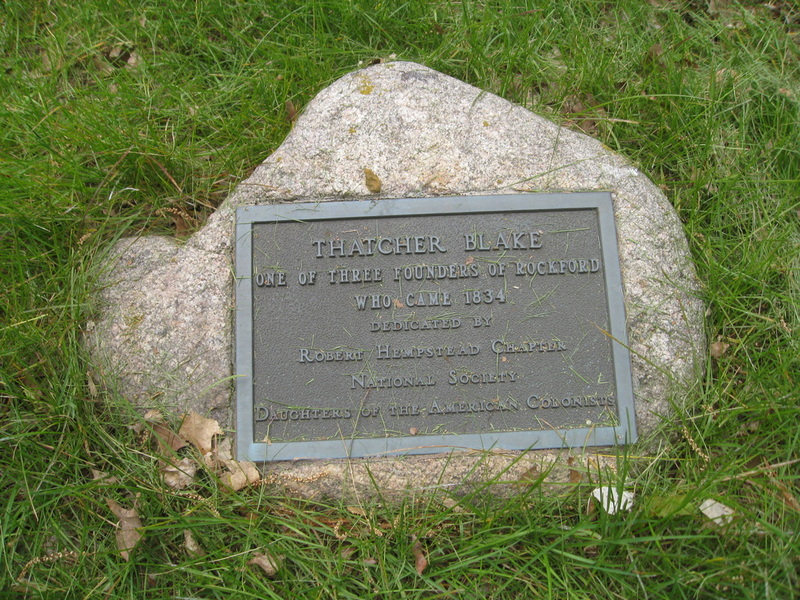 Blake was a member of the founding team led by Germanicus Kent who came from Galena to the spot where Kent Creek empties into the Rock River. This was the beginning of Rockford. 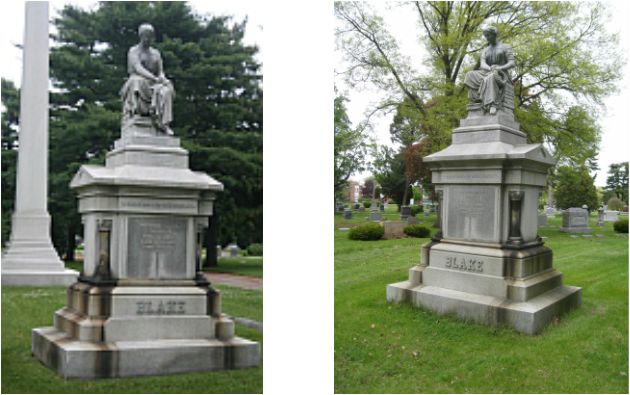 Blake, Kent and Lewis Lemon were the first permanent settlers from eastern states to settle in Winnebago County. Blake helped build the Kent cabin and stayed there when he was not farming his own claim further west (known as Blake's Grove, two and a half miles from the city on the State Road). He was born on March 16, 1809 in Turner, Oxford County, Maine, His father was Thatcher Blake born in Taunton, Bristol County, Massachusetts in 1774. His familly moved to Foxcraft, Piscataquis County, Maine where he farmed with is father and taught school. He decided to come west in 1834. His itinerary and means of transportation takes up a quarter column in old newspapers. No railroads then. 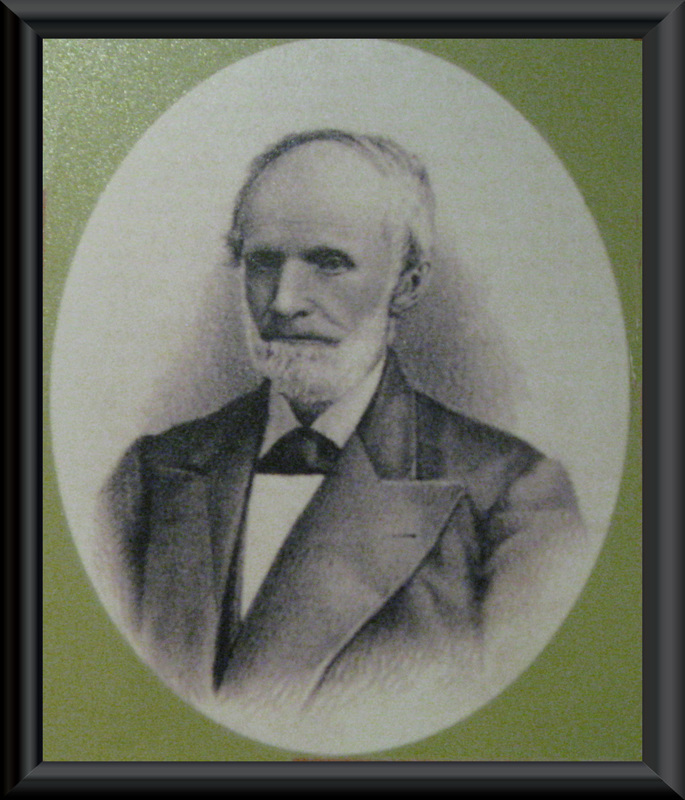 He was married in 1838 to Mary Jane Goodhue (1813-1900) in Stephenson County, the first white marriage in that county. The couple had one daughter. She lived with her parents, husband and son in the homestead on South Main. After farming, Blake moved to south Rockford on Main Street just south of the then city limits. He sold real estate and lumber. In 1855, he helped build the first Unitarian Church at the southwest corner of Church and Chestnut (razed in 1919). He was president of the Early Settlers Society of Rockford. He died in his home at 2328 South Main Street after a short illness on October 8, 1880. He is buried in Greenwood Cemetery.